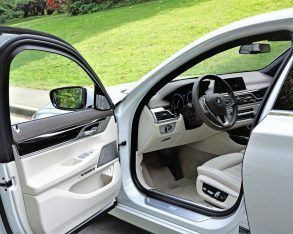 Big flagship luxury sedans don’t change up as quickly as more volume-oriented premium models, such as BMW’s ultra-popular D-segment 3 Series in comparison to its full-size F-segment 7. 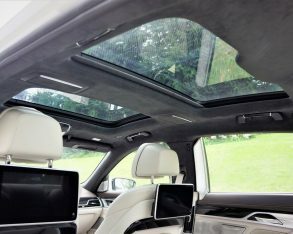 And for those customers at the top, this reality seems to be okay. 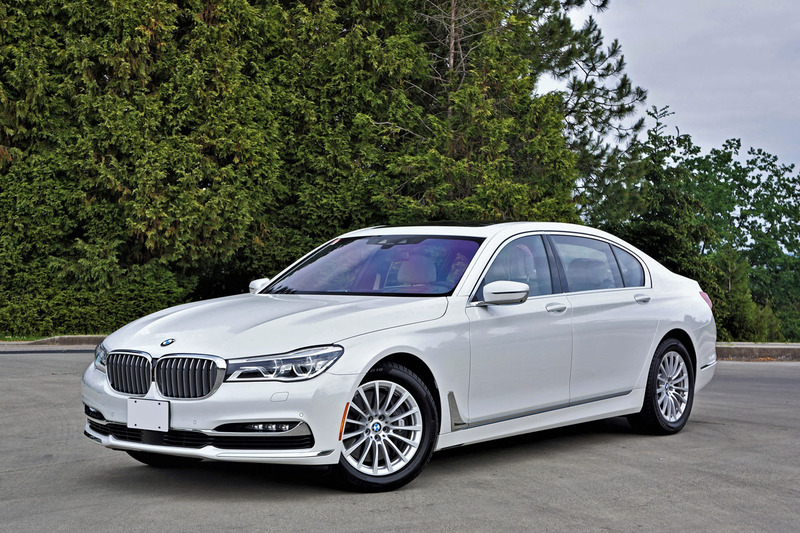 The previous fifth-generation F01/F02/F03 body style lasted eight years before it saw the current G11/G12 arriving in 2015 as a 2016 model, so as you probably can ascertain this 2017 7 Series in our garage is not all that different from last year’s version. 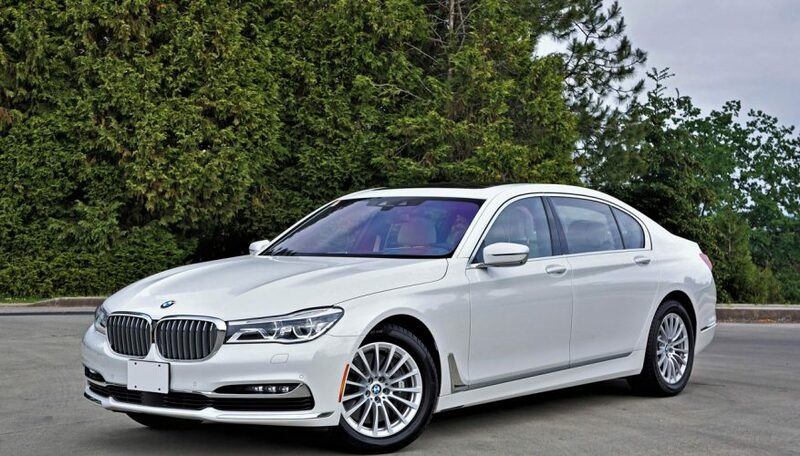 It’s difficult to imagine a luxury car being any better than the 750Li Executive parked there. 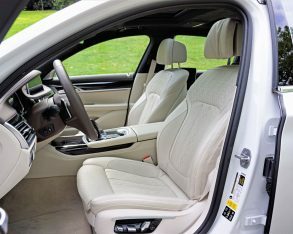 Along with its Li moniker comes a 140-millimeter (5.5-inch) longer wheelbase for extended rear legroom, and BMW has taken full advantage of that extra length (as have we) by adding an available Executive Lounge package that provides one of the best first-class airliner-style reclining passenger seats that’s ever been integrated into a car. 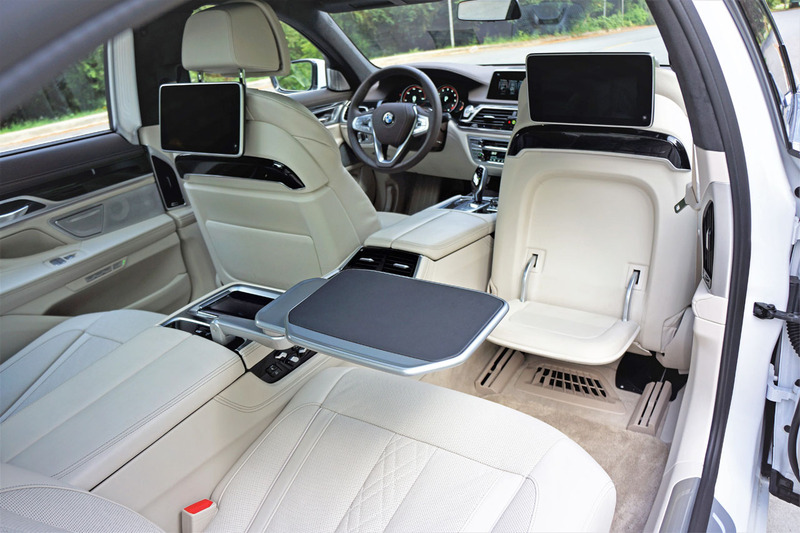 The simple press of a digitized button integrated into the removable rear iDrive tablet that sits atop the fixed centre console powers the front passenger seat forward while automatically lowering an ottoman and positioning a fairly large TV screen in just the right position for easy viewing, while various massage features do wonders with your tired aching back, seat heating or cooling keeps you at the right temperature, and of course powered memory functions get the seatback into the ideal position and keep it there. 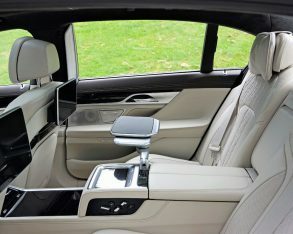 Additional rear controls are added for the four-zone auto HVAC system, again adjustable via the tablet or iDrive tablet, while that aforementioned console includes a gorgeous pullout table, device chargers, and more, plus your surroundings include a beautiful dual-pane panoramic moonroof overhead, powered sunshades all-round, thicker glass for better sound insulation, the best quality quilted perforated leathers, satin-finish metals, lacquered woods, vertical parlour-style lights, and the list goes on. 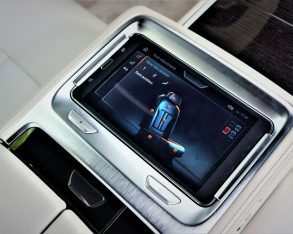 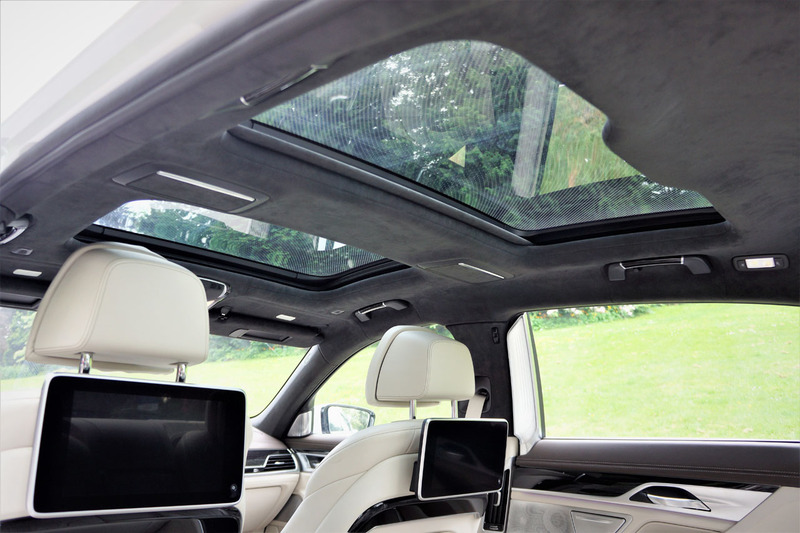 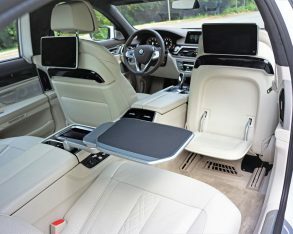 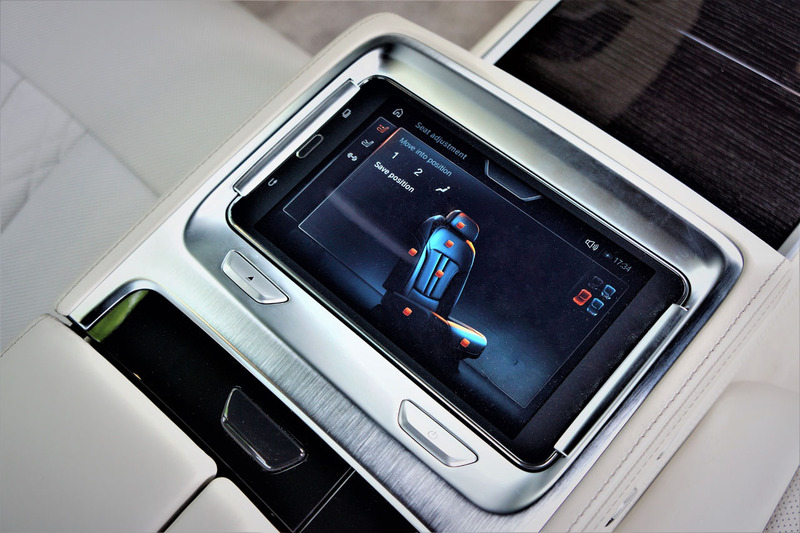 The 750Li Executive isn’t only about the rear seating area, mind you, although I could go on ad infinitum about its lengthy menu of features, its incredible materials quality, and the superb craftsmanship throughout, but such can also be said for the driver’s experience that starts with the smartest smart key ever created, even capable of autonomous remote control parking and then rolling down an LED light carpet upon approach. 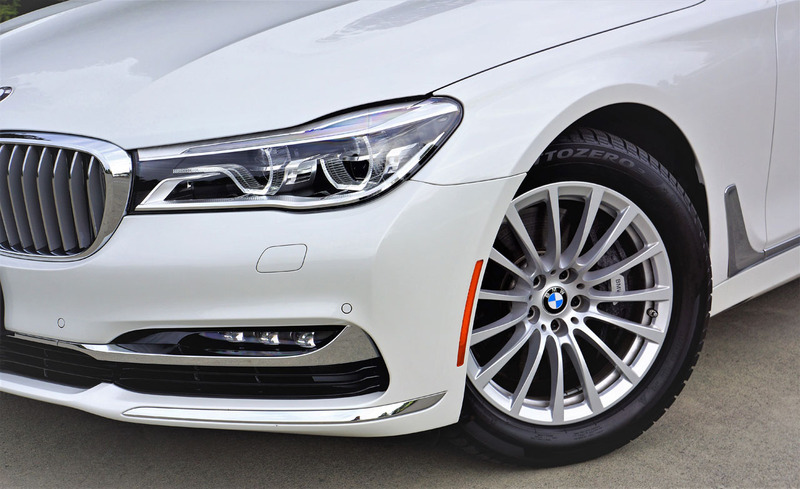 It’ll put itself back too, or self-park if you don’t feel up to it, including self-braking if you don’t notice something in the way. 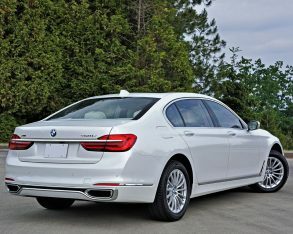 What’s more, the new 7 can drive in full autonomous mode for up to 15 seconds (it could do more, but BMW is much more conservative than Tesla). 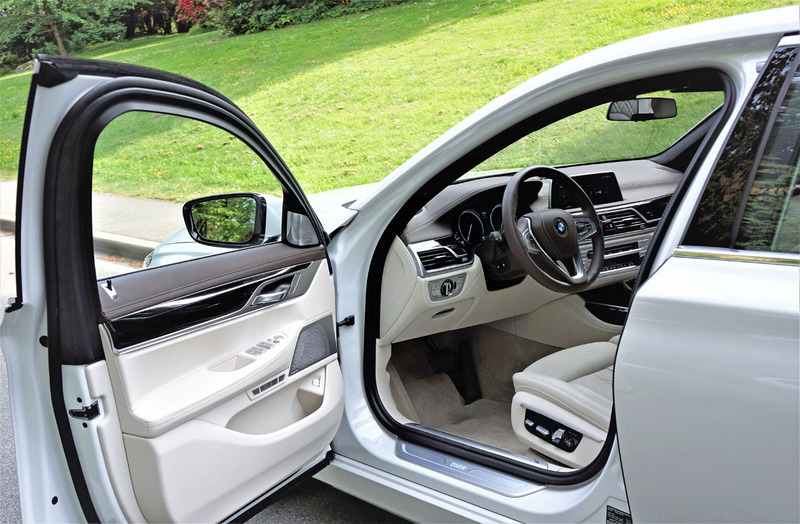 Self-synching soft-closing doors gently pull themselves shut while a fully configurable colour TFT primary gauges greets you once inside, as does a state-of-the-art 10.2-inch widescreen iDrive infotainment system that allows hand gestures in the air for controlling features. 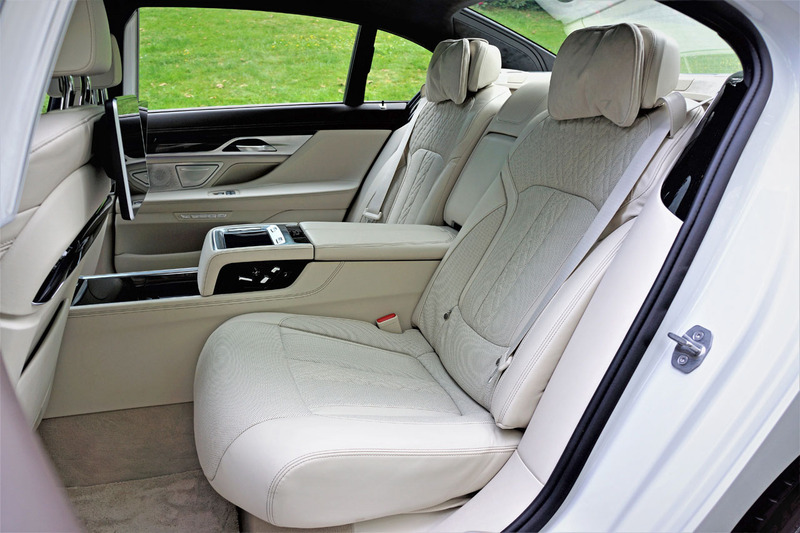 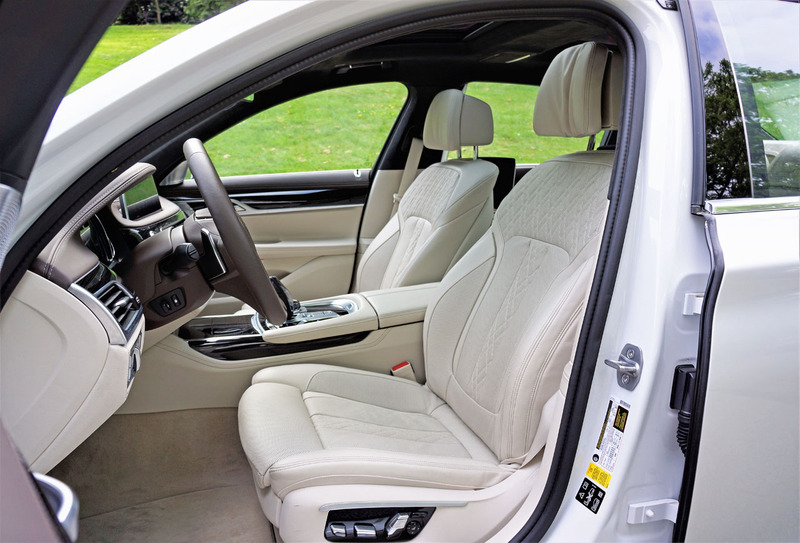 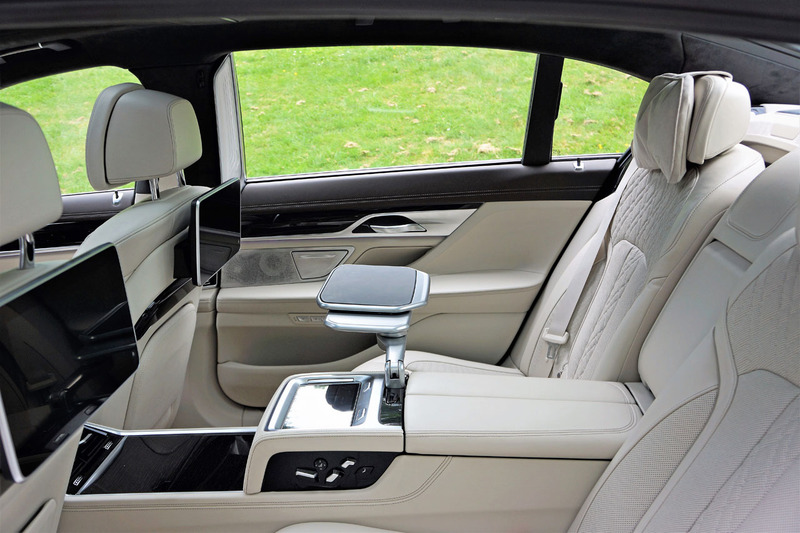 You’ll be seated in one of the best driver’s seats in the industry replete with ventilation and massage functions (why should the rear passenger get all the goodies? 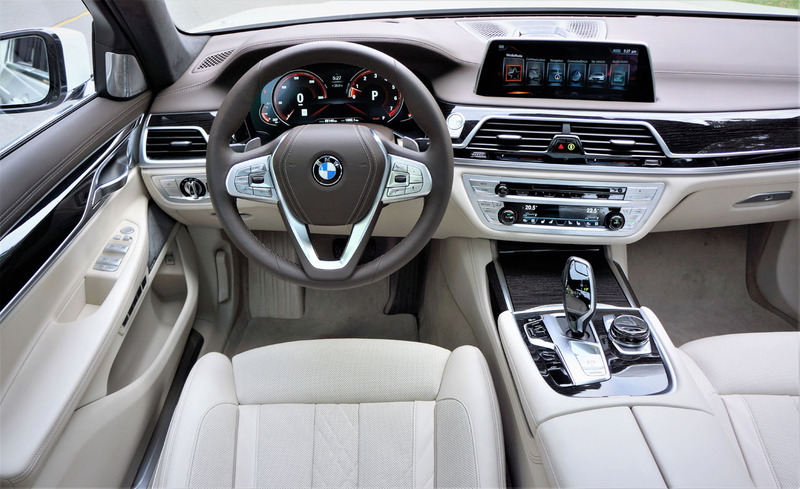 ), while a fragrance dispenser in the glove box wafts nice perfumes (or aromatherapy scents) through the air, and then you’ve got to factor in that it’s a BMW, so the overall driving environment might make you want to take over the wheel more often than relaxing in back anyway. 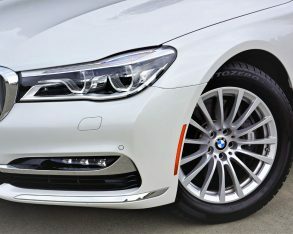 As usual with the In Our Garage segment I’ll leave any experiential info until later, but suffice to say its adjustable air suspension does what it’s supposed to and more, even adjusting itself ahead of otherwise pesky pavement imperfections such as bumps, potholes, manhole covers, bridge expansion joints, etcetera. 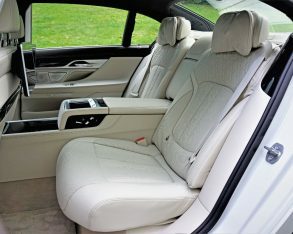 Rear wheel steering is available, all of which is designed to make the most of the 750i’s 450 horsepower twin-turbocharged 4.4-litre V8, eight-speed automatic, and standard all-wheel drivetrain. 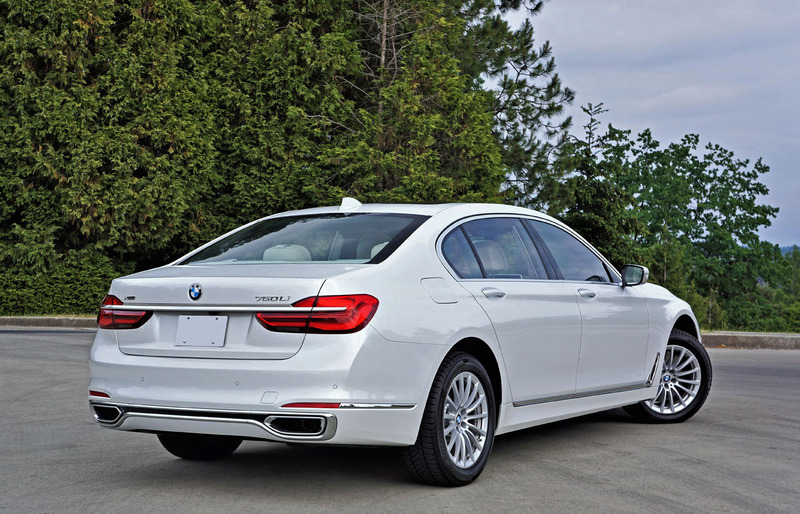 It’s even fuel-efficient with a rating of just 14.3 L/100km in the city and 9.3 on the highway.